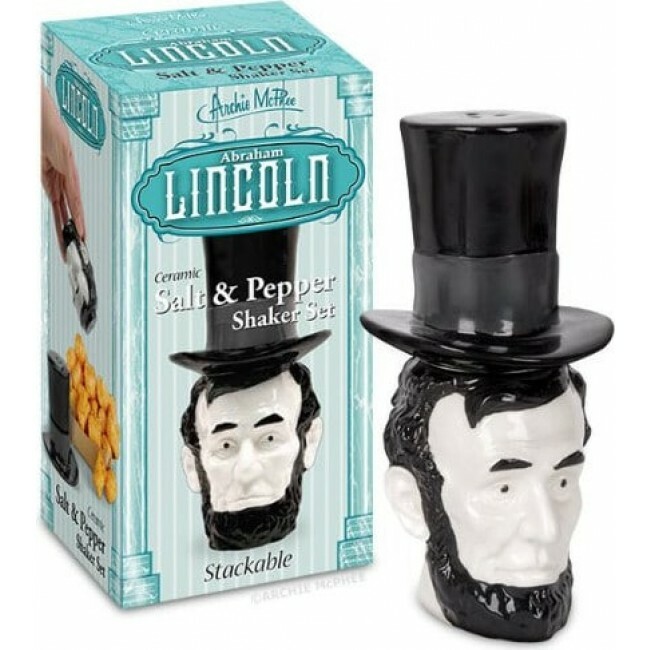 The Abraham Lincoln Salt & Pepper Shaker Set is an homage to our favorite president. Comes in two ceramic, stackable pieces. The 3" (7.6 cm) tall head that can be filled with salt and the 2-1/2" (6.4 cm) tall hat for pepper.